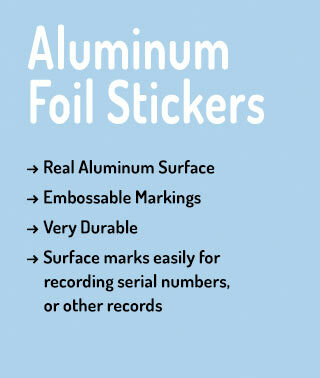 These stickers are made from real aluminum. They are 2 mil thick and have an aggressive permanent adhesive. The aluminum surface is embossable - writing on them with a ball point pen, for example, will leave a permanent emboss on the sticker. 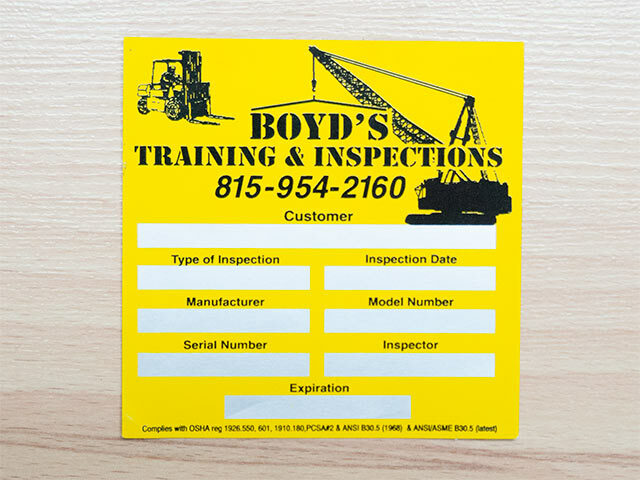 Due to the nature of the material, foil decals can only be square or rectangle cut. 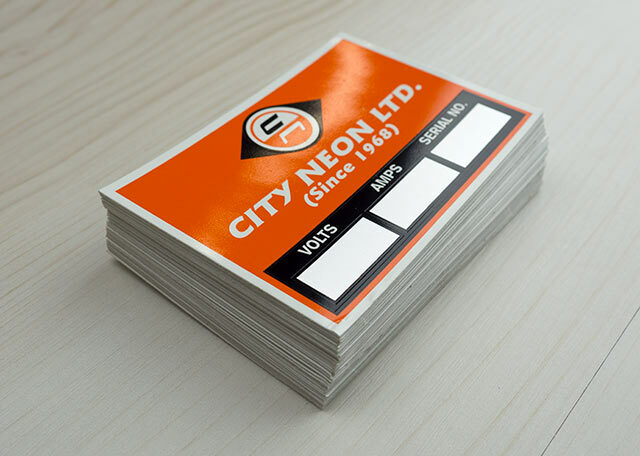 We have 1, 2 or full colour print options for these stickers. 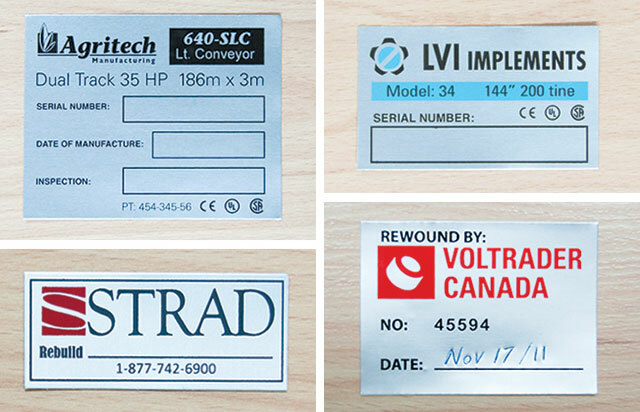 Foil labels are often used for keeping maintenance records, calibration records, & serial numbers. 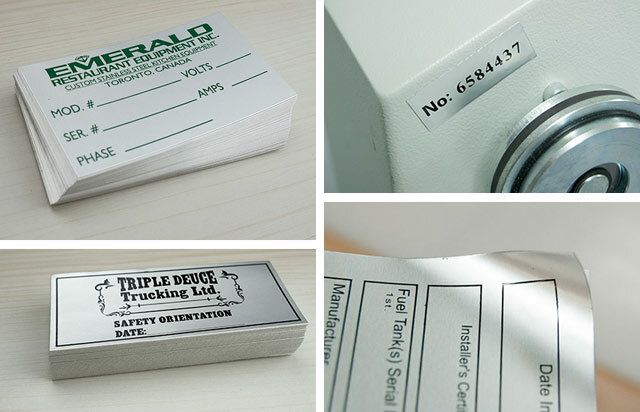 The advantage here, is that once you write on them, there will be a permanent impression on the labels, so even if the ink fades, you will still be able to see the markings. Note that this quality makes then easily marked - If you run your fingernail across a foil decal, it will leave a permanent mark in the material. If you are not sure if this is the right product for you, contact us, or request samples so you can see for yourself. 3M 7940 is a 002 in. (51 mircon) matte silver aluminum foil top coated material containing a heavy adhesive coat weight suitable for textured surfaces. 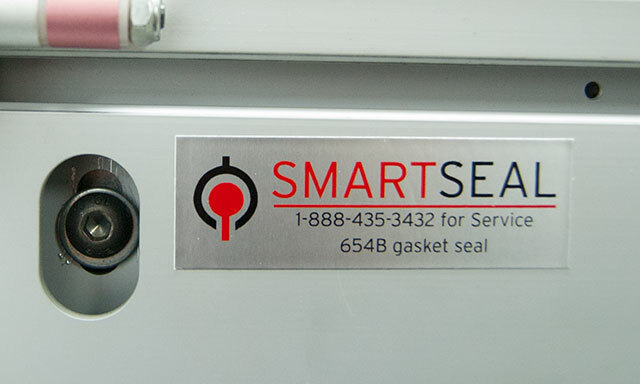 It is durable, thin gauge aluminum designed to meet a wide range of difficult nameplate application requirements. 7940 and utilizes 3M Adhesive 320, which offers excellent adhesion to a variety of surfaces including high surface energy (HSE) and low surface energy (LSE) plastics. For maximum bond strength, surface should be thoroughly clean and dry. A typical cleaning solvent is heptane or isopropyl alcohol. 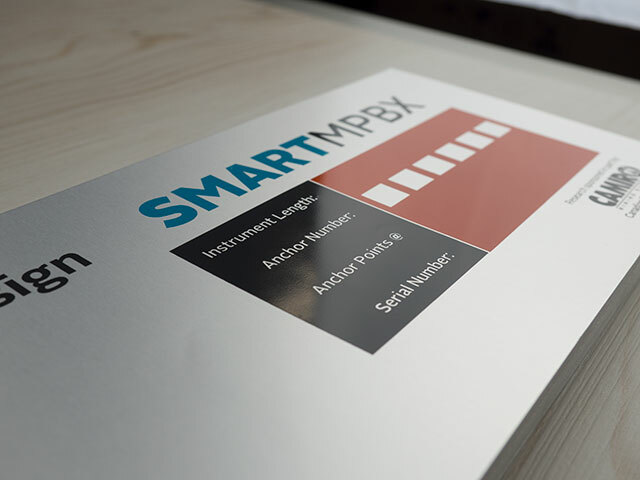 7940 provides easy sheet processing and is designed for layflat. The backside of the 90# kraft liner is not printable. Pricing below does NOT include sequential numbering. Please contact us about additional cost. Foil stickers cannot be shape cut.